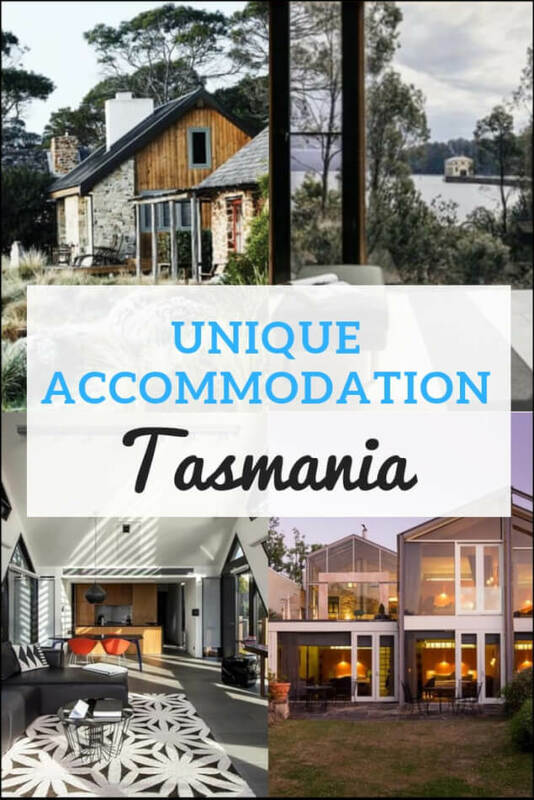 Quirky, Luxury & Unique Accommodation in Tasmania. 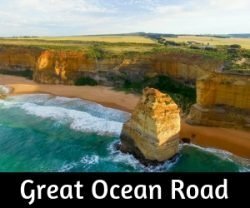 Some of the best accommodation in Australia can be found in Tasmania, spectacular views, secluded bush locations, luxury rooms that are each unique. 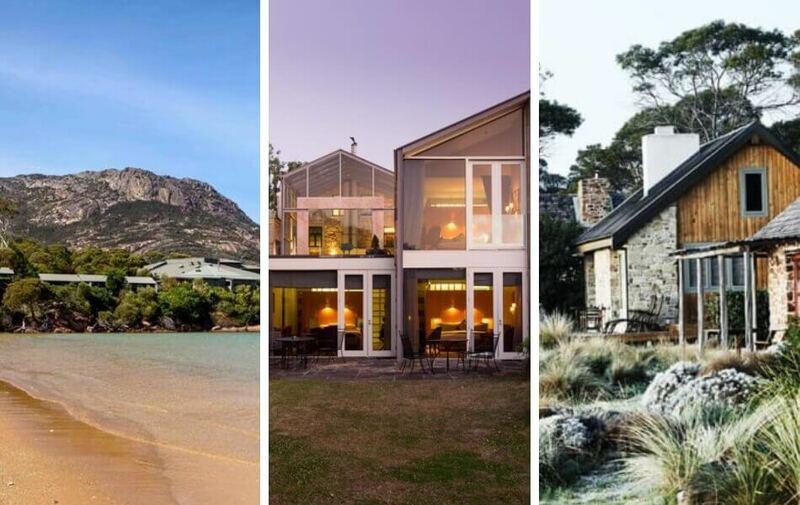 We have discovered 10 of the best places to stay all around Tasmania. 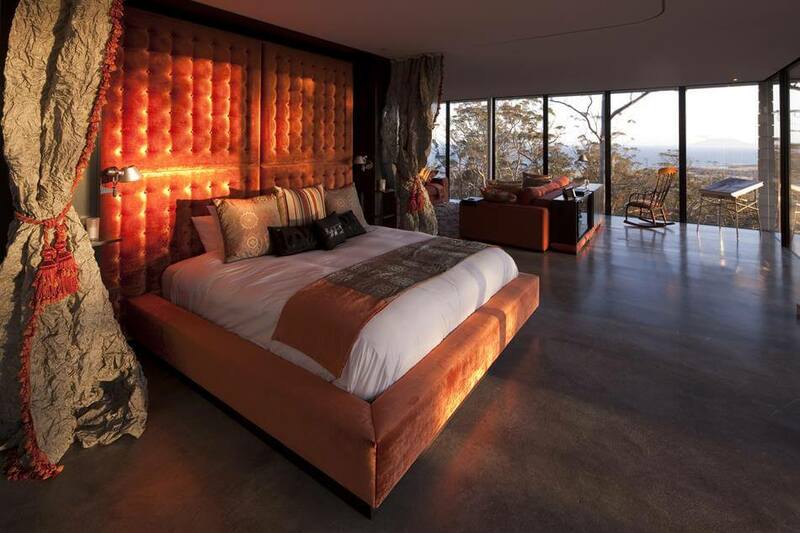 Peppers Cradle Mountain Lodge is simply stunning. Set in the World Heritage Listed Cradle Mountain National Park, each cabin is unique. The ‘King Billy’ Suite is the most luxurious with a spa on the deck, wood fire, huge picture windows looking out onto the wilderness and so much more. Cradle Mountain offers some of the best bushwalking in the country as well as the famous Dove Lake Circuit Walk. 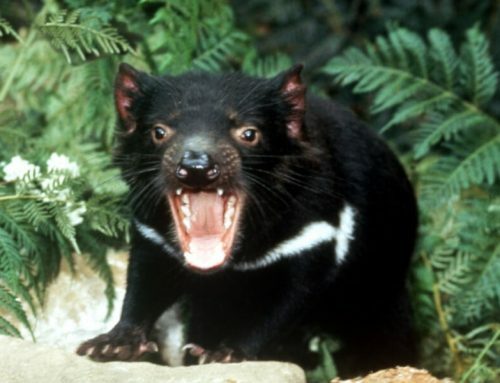 At night discover the infamous Tasmanian Devils, roaming around the park. Massive windows with views across the Bass Straight and an award-winning design, this luxury accommodation will leave guests speechless. Read the full description and check out prices to stay in this unique home. Secluded luxury with everything that is required to truly escape the outside world. 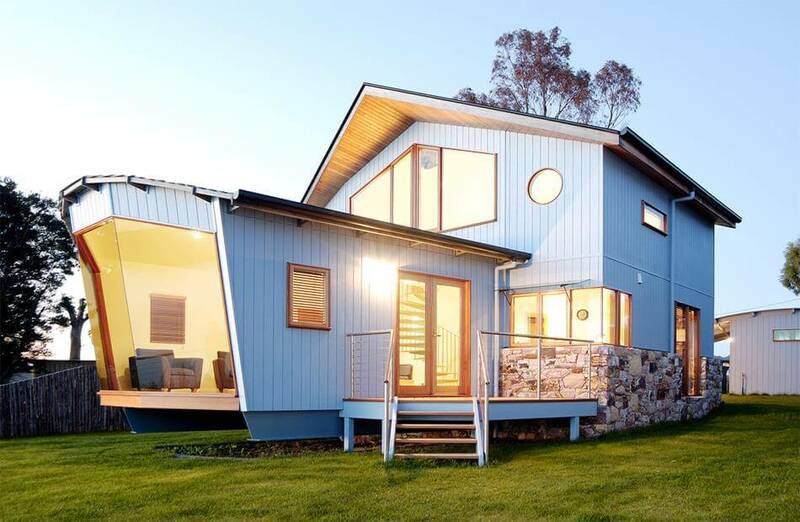 Located on the beautiful East Coast of Tasmania with easy access to the famous Bay of Fires region. Read more about this superb, luxury escape and find the best prices to stay. The Piermont is a secluded sanctuary on Tasmania’s East Coast. Run by the same family for 25 years, this is one of the most peaceful places to stay in Tasmania. 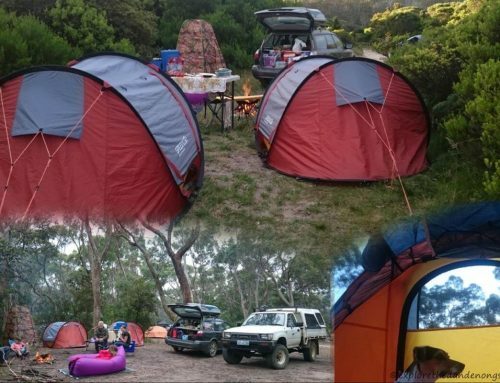 Close enough to the Bay of Fires and the Freycinet Peninsula to make this a great holiday base to explore the region. Find the best prices to stay at the Piermont Retreat. 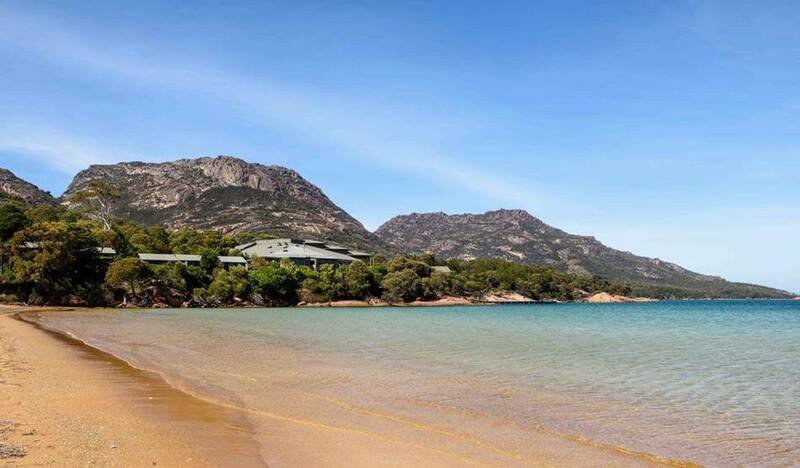 Spectacular views across to ‘The Hazards’ on the Freycinet National Park and a superb location to explore Wine Glass Bay and the coast. The lodge offers a range of unique rooms. 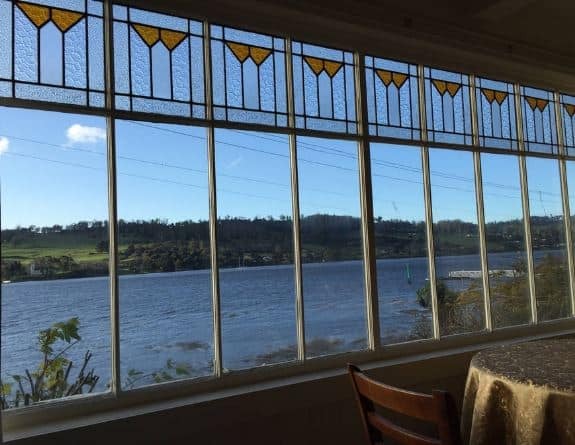 Famous for the Port Arthur Convict Settlement as well as some of the most rugged coastal scenery in Tasmania, EagleHawk Neck is a must see and one of the finest places to stay is at the Eagle Hawk Pavilions. Just two self-contained apartments with stunning views of the bay. The Islington is a small luxury hotel with fabulous views of Mt Wellington. “Decorated with fine art and furnished with antiques, Islington appeals to those who desire the very best in service, presented in an atmosphere of serenity, luxury and tranquillity”. The Mona Gallery is an attraction worth seeing in Hobart and the Mona Pavilions luxury ‘Dens’ are as spectacular as the gallery itself. Each one is unique and finished with every detail carefully considered to provide a very special stay. Find the Best Deals to Indulge and Stay at the Mona Pavilions. Lake St Clair, a spectacular wilderness area and the end of the famous Overland Walking Track from Cradle Mountain. 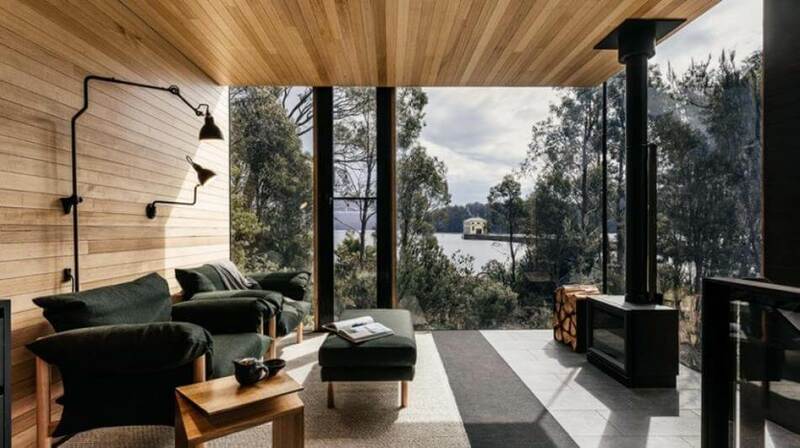 Pumphouse Point is an extra special place to stay and in an awesome location. “Two industrial buildings gently transformed as an intimate retreat in the heart of World Heritage wilderness. A place to side-step daily life and connect with others in some of the most spectacular landscape on the planet”. Strahan is a special town with so much to offer. Boat Trips up the Gordan River are the star of the show as well as huge sandy beaches and beautiful rainforest. 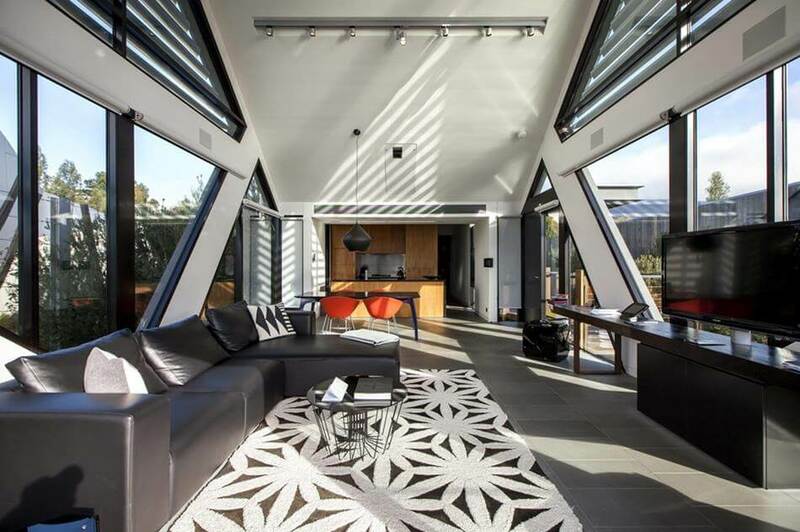 The Wheelhouse Luxury Apartments, perched on the cliff overlooking the Harbour, are the perfect way to enjoy this beautiful part of the West Coast of Tasmania. 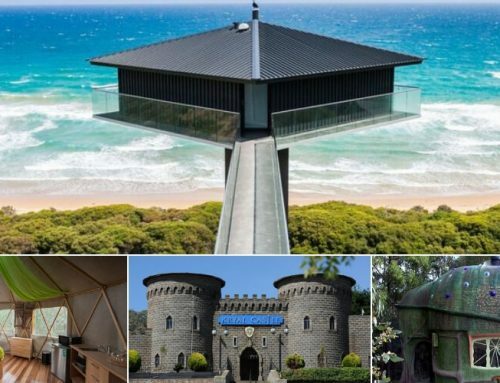 Tasmania also has some quirky, unique Air BnB accommodation. These are our pick of a few of the best places to sleep and relax. Search Air BnB for your perfect getaway. Air BNB is the ‘go to’ site for awesome accommodation options. Air BnB is a great way to find unique accommodation options, simple to register and search. Sign up today and start finding some hidden gems. 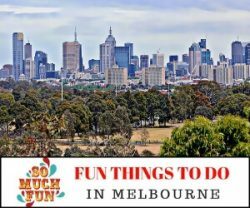 Follow this Air BnB link to register and receive a ($35 or more) credit to use on your first stay through Air BnB, whether it is in Australia or anywhere else in the world. 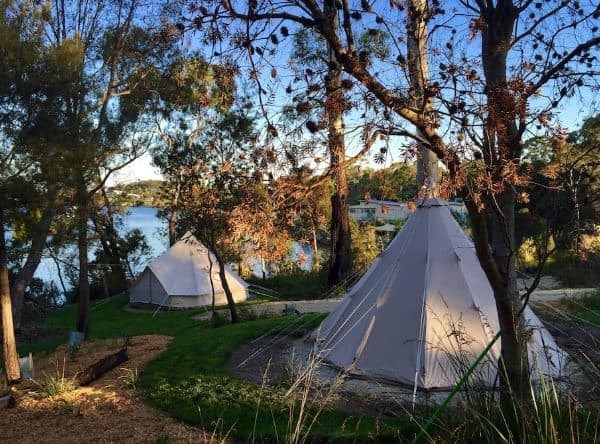 After 9 years of living in Melbourne, my partner and I decided to fulfil a lifelong dream for a simpler life and moved to Tasmania in November 2015 with the grand plan to launch Wingtons Glamping. We consider it a great honour to carry on the role of protecting and sharing the beauty of the Tamar Valley with our guests. Our goal is to nurture an environment in harmony with the nature and history of the area while allowing our guests to enjoy a relaxing camping experience. 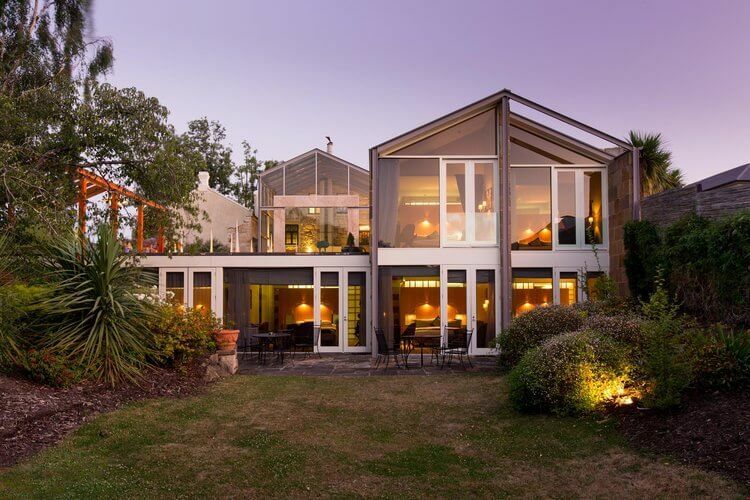 The property is located on the acclaimed Tamar Valley wine route, believed to be the oldest wine region in Tasmania. 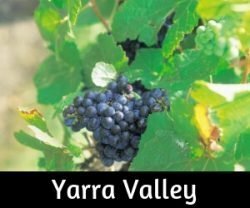 Tasmania’s cool climate wines are renowned worldwide and there are around 30 wineries within driving distance of Rosevears. Cellar door tastings which are popular with the tourists are known to be a speciality of the valley. The historic cottage which began life as the Rosevears Post Office (circa 1900’s precise build date is unknown), is located directly opposite the river on a level plateau to the front of the property. The neighbour to one side is the historic Rosevears Tavern (a genuine landmark in the area) and diagonally opposite is the popular Rosevears Pontoon. We look forward to welcoming you and enhancing your Southern Tasmanian experience at Inside Outside Art Gallery and Accommodation. 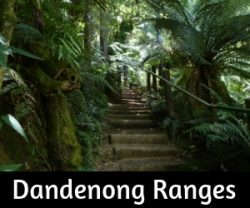 Over 25 years we have created a peaceful & serene space only 25 minutes from Hobart CBD. 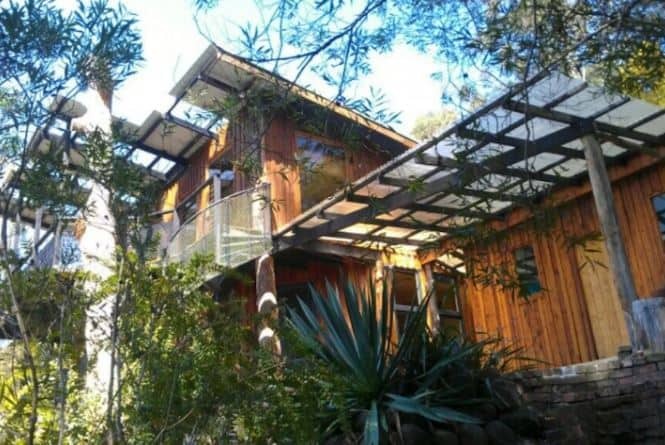 Set on 20 acres of native bush with creeks and rainforest gullies. With over 30 different species of birds & an abundance of native wildlife right at your doorstep. Accommodates 6 guests in total. Tasmania is a beautiful island that is packed with amazing attractions. Read our guide to the 34 of the best places to see in Tasmania.